Is the Google Glass Hype Too Much? Google Glass is speeding ahead towards its release, which is still far away, but it already has unleashed the enthusiasm of many individuals and businesses. The API is in the hands of developers, the first third-party applications are already being tested (such as Twitter), and people like Robert Scoble are convinced that this is the future of personal devices. In short, there is a lot of hype. But is it justified? 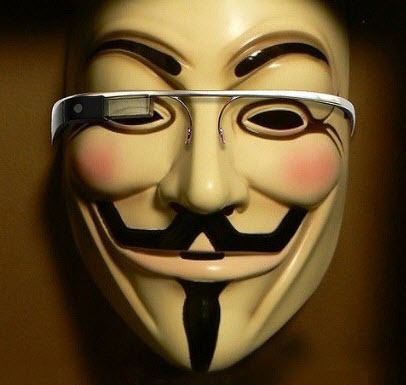 Obviously, not having tried Google Glass yet, I’m not in a position to say if the glasses will work well or not. Also, we are nowhere near to evaluating what future it will have in the market. But these glasses can be seen as one of the basic steps to opening a whole new technological market. Google Glass is an amazing device, that’s for sure. We are talking about a small glass prism, which, with the help of a lens that fits in the frame of the glasses, projects the image directly to the pupil of our eyes. It does sound like science fiction, but for this technology to succeed, basic factors have to prevail: simplicity of use and convenience. Another thing that Scoble has said, which was also previously stated by Eric Schmidt: Google Glass requires the use of our voice and can be uncomfortable in certain situations. Can you imagine interacting with your glasses on the street, uttering commands aloud? It can be something very strange, and users may find it disturbing. Robert Scoble can put these glasses on a pedestal, but a general user may not use the glasses as he uses them. Google can be successful with the glasses, but very few people would be willing to spend hundreds or even thousands of dollars or euros on something completely new. Google might be successful if it sells the glasses at an aggressive price. However, latest reports suggest that a third-party tool called GlassTweet will be implemented, so as to make tweeting possible through Google Glass. Now, apps like these make things more interesting! I think, above all, that while Google Glass hints that prospects are promising, the future is still very blurry if seen in the terms of the existing market of phones and tablets. It’s a very promising and interesting concept, but it needs to be handled with great caution. Personally, I feel that it will succeed and if the product price is set at the $500-range that is being rumoured currently, then you can expect at least a million pieces to be sold like hotcakes. Also, we have to take augmented reality in consideration and remember that there are phones that cost more than that. I think that the glasses should be seen a tool that makes the job of GPS and facial recognition an easy affair. Clement Almeida is the managing editor at http://www.bloggercent.com. He also has an interest in watching movies, proven by the large number of movies in his library. An active person, he has taken a new step towards blogging and hopes to use his skills in this venture with his close friend.